Houzz 26 of our visitors have told a friend about this plan. 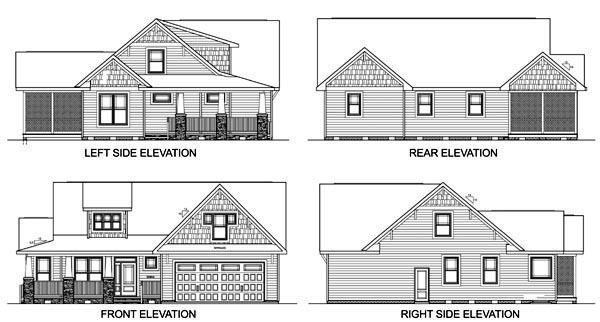 Question: Is the second floor completely built from bonus room trusses? Answer: The entire attic is stick built, we have not designed the second floor with a truss roof system. 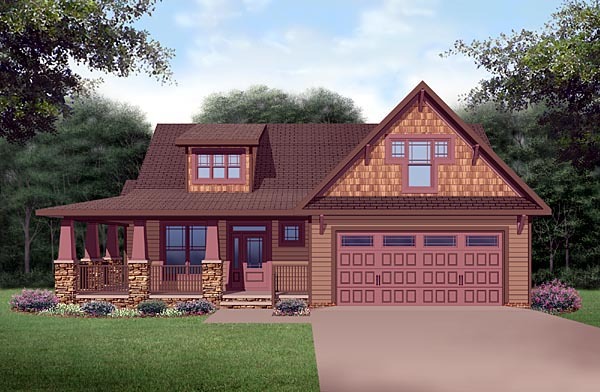 You could consult with a truss manufacturer on a truss roof system for this plan. We would be able to redesign the foundation based on a truss manufacturer’s truss roof system, if provided the truss manufacturer’s details. Question: Is the total living area 1959 with or without the bonus are? Question: Could you put a small third garage on the side of this house without blocking any of the master bedroom windows? Answer: Do you want to attach it to the existing garage, which would work? Question: I see fireplace in the specs but no chimney. Would a chimney be a modification? Also, do the plans include the mechanical, electrical and plumbing? Answer: The fireplace is for ventless gas logs. We could do a chimney but it would be a modification on the plan. We show the electrical outlets and lights and fan fixtures. We show the plumbing fixtures and you can purchase plumbing schematic extra, which shows the plumbing lines.